Dynamic Yield announced the completion of its Series C round on Thursday, adding another $9 million to bring the total investment to $31 million. Deutsche Telekom Capital Partners (DTCP) and La Maison joined the previous investors announced in December, including ClalTech, Baidu, Vertex and Bessemer Venture Partners. With the additional Series C financing, Dynamic Yield has now raised $45 million to date. Dynamic Yield plans to leverage the investment to expand into new markets and verticals, as well as to fund additional product development in areas such as artificial intelligence. Mukund Ramachandran, VP global marketing at Dynamic Yield, says the company is focused on building products for marketers, product managers and developers, and providing customers with resources and knowledge. 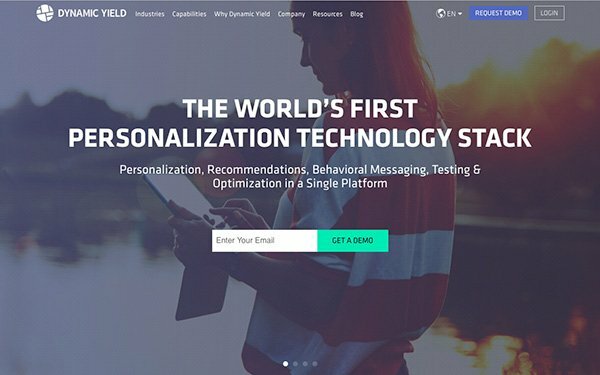 Dynamic Yield is a marketing technology company that automatically personalizes customer interactions across email, mobile, and online channels. The company can tailor marketing based on the customer data it organizes into a single database, including past purchases, browsing history, and geographic and demographic data. Dynamic Yield works with retail brands including Under Armour, Urban Outfitters, and Sephora, and the company claims to personalize interactions for more than 600 million users every month. Dynamic Yield’s technology is guided by machine-learning algorithms that optimize marketing campaigns with content predicted to be more relevant, such as product recommendations. Ramachandran says the company will continue to invest in machine-learning and artificial intelligence, and confirms that Dynamic Yield plans to recruit new talent -- particularly in the customer service and engineering departments. The New York, Tel Aviv, Berlin, and Singapore offices are all looking to add to their teams.